Over the last decades PER has offered educational programs in partnerships with various organizations including local hospitals, other mental health nonprofits on various psychiatric conditions. In the early 2000s the PER Board began a series of highly acclaimed public educational programs featuring Professor of Psychiatry Richard Kogan, whose unique piano performances blending psychiatry and music brought to light the personal suffering from serious mental illness of the creative giants of western Classic music. These presentations included Beethoven, Schumann, Tchaikovsky and Gershwin. In addition, PER screened the film “Mahler on the Couch” that empathetically portrayed the crisis in Gustav Mahler’s marriage and Mahler’s consultations with Dr. Sigmund Freud. PER’s commitment to advocacy for the needs of people with psychiatric problems and to education is reflected in two major PER programs as follows. The PER Advocate Awards highlights stellar contributions of individuals in our community that promote mental health advocacy in a variety of way. Among the many recipients are: Stella Marsh, Judge Harold Shabo, Supervisor Edmond Edelman, Professor Elyn Sacks and Commissioner Laura Hymowitz. The Annual PER Excellence in Psychiatric Education Awards promoting the professional development of graduating psychiatric residents by highlighting both their work during their residency years, as well as recognizing the role of the awardees’ training programs in fostering their creativity and professional growth. These Awards also serve to welcome the graduate psychiatrists into their professional society of SCPS and the parent organization the American Psychiatric Association. In 2010 the PER Foundation launched an ongoing fund-raising effort to support psychiatric research directed by Kenneth Wells, MD, Director of the Semel Institute’s Health Services and Society Center and Bonnie Zima, MD, UCLA Professor of Child & Adolescent Psychiatry. This research aims to improve mental health treatment outcomes and services for children and adolescent in the public mental health system of our community. PER continues to be very concerned about the psychiatric needs of children and adolescents in the public sector of our community as they are underserved and their needs are complex. Currently PER is working with SCPS and APA on several projects aiming to serve some of their mental health needs. Currently PER is working with SCPS and APA on several projects that could serve their some of their mental health needs. In 2016 PER entered in partnership with the Los Angeles County Medical Association to offer educational programs about mental health and psychiatry to members of LACMA. In 2017 PER launched A Multi-year Educational program in partnership with a number of organizations including the Southern California Psychiatric Society, SCPS, the Los Angeles County Medical Association, LACMA and St John’s Medical Staff. PER is offering a number of educational programs to these and various other organizations that address identified and urgent psychiatric and mental health needs of their members. Among the PER educational offerings are screenings of the SCPS documentary film “The Art of Storytelling”. This is a documentary film featuring several Los Angeles based psychiatrists who candidly and openly share their personal stories and struggles. This film was developed by the SCPS and aims to humanize psychiatry and fight the pervasive stigma that keeps people from accessing much needed mental health care. See below for more details on past program events. 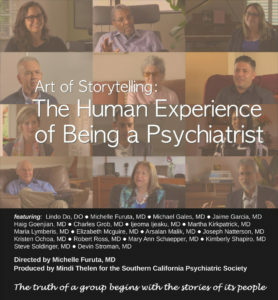 Art of Storytelling is a documentary film that details the subjective experience of nine psychiatrists. This moving and provocative film is a project of The Art of Psychiatric Medicine Committee of the SCPS. The film aims to humanize psychiatry and combat the toxic and damaging effect of stigma associated with psychiatry, psychiatric patients and the mental health field. PER is focusing on STIGMA because it presents a major impediment for the vast majority of individuals and families who need and can benefit from psychiatric mental health care. At the June 3rd screening, PER and SCPS were host to more than 100 mental health professionals. The goals of raising funds and awareness were accomplished through the film screening and panel discussion. Both PER and SCPS are excited to bring the film to broader audiences to continue the mission of the PER Foundation and work to eradicate stigma around mental health conditions. The PER Annual Educational event of September 9th brought together physicians and mental health practitioners to the screening of the SCPS film and awarded PER Founder and President, Dr. Maria Lymberis with the 2017 PER Advocate Award. To see pictures from this event click here: PER Award & Screening – A Huge Success! The PER 2016 Music Educational event featured a presentation by Richard Kogan, MD. In addition, PER honored Commissioner Laura Hymowitz with the 2016 PER Advocate Award. For over 10 years, Laura Hymowitz, Commissioner at the LA County Mental Health Court 95, has brought both help and light to countless mental health patients and their families with her empathic and wise rulings. The retired Court 95 Judge Harold Shabo, the Forensic Psychologist Gary Freedman-Harvey, PhD and NAMI Advocate Gail Evanguelidi will be introducing the 2016 PER Advocate. Commissioner Hymowitz is known among NAMI members, as the “Solomon Judge” in recognition of her deeply compassionate and astute understanding of the complexities inherent in mental health cases. Dr. Kogan’s lecture & piano presentation focused on the life of the great Russian composer Pyotr Illyich Tchaikovsky, exploring the impact of Tchaikovsky’s moods on the composer’s creative work. The PER 2015 Music Educational event featured a presentation by Richard Kogan, MD. 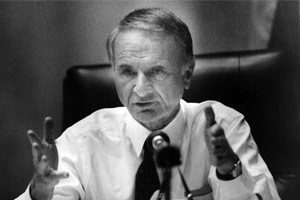 In addition, PER honored Former Los Angeles County Supervisor Edmund D. Edelman with The 2015 PER Advocate Award in recognition of his countless contributions to the quality of life of our community. Richard Kogan has a distinguished career both as a musician and as a psychiatrist. He is renowned for his lecture/recital presentations that explore the role of music in healing and the influence of psychological factors, psychiatric and medical illness on the creative output of composers. Following his past highly successful PER presentations on Beethoven and Schumann, Dr. Kogan returned to explore the impact of psychological factors and psychiatric illness on the creative output of the great American composer George Gershwin. His discussion was highlighted by his piano performances of Gershwin masterpieces, including Rhapsody in Blue. The 2014 event at the NPI Semel auditorium was a full house event. It started with Dr Marvin Shouthard’s impressive & eloquent introduction of the 2014 PER ADVOCATE and was followed by Professor Elyn Saks’s acceptance of her award. Everyone present was very moved hearing Elyn’s compelling story and the many lessons she offered about the road to recovery and to living with mental illness. The presentation/performance by Dr Kogan that concluded the evening was considered as “stunning” and “exceptional” by those present. 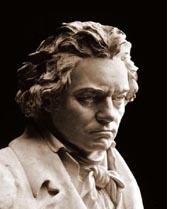 His empathic and learned understanding of the role of Robert Schumann’s mental illness in his life and in his musical creativity was very moving. Schumann’s creative genius was demonstrated by Dr. Kogan’s masterful playing of key sections of his music. His tragic end from illness reminded us of the critical role of scientific progress since the 1800s. This was a night of inspired hopefulness because it clearly demonstrated that progress and highlighted the difference in the outcomes of these two geniuses: Schumann & Saks. A performance and talk was given by Richard Kogan, MD highlighting the connection that can exist between creativity and mental health conditions. 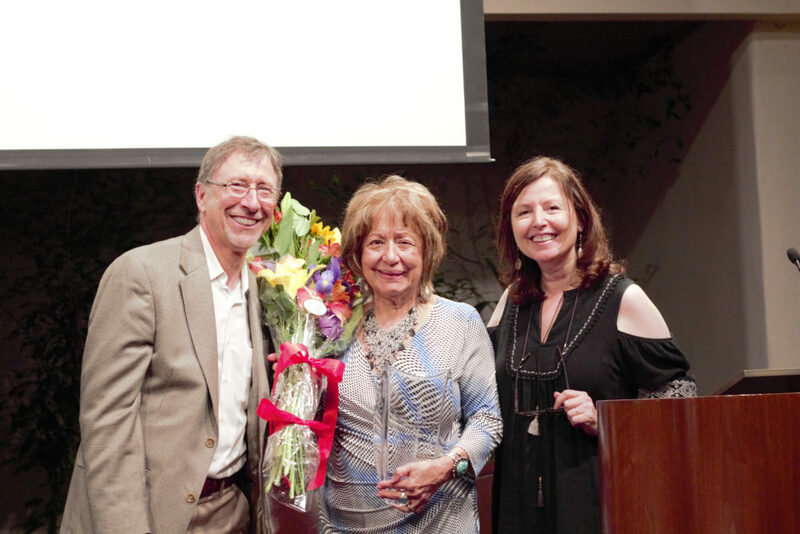 In addition, the PER Advocate Award was presented to Sharon Dunas, MFT, President National Alliance on Mental Illness (NAMI) LA County & Westside LA and PER Board Member.